Who are the biggest producers, buyers and users of gold? China, Australia, the USA, South Africa, Russia, Peru and Indonesia are the world`s largest producers of gold. India, China, the USA, Turkey, Saudi Arabia, Russia and the UAE are the top buyers of gold jewellery. The top 3 gold mining companies in the world in 2016 were Barrick Gold, Newmont Mining and AngloGold Ashanti. A total of some 186,700 tonnes of gold existed above ground as of 2015. Here’s a rough breakdown of how it’s used: around 50% of above-ground gold is in jewellery, 40% in investments, and 10% in industry. The precious metal is widely used in high technology, particularly for making medical devices and precision electronics such as GPS units. Gold futures are traded on COMEX, the division of the New York Mercantile Exchange (NYMEX) that’s responsible for trading metals such as gold, silver, copper and aluminium. Check out Capital.com for the latest gold spot price chart. The spot price is the price at which gold is traded at a particular time and location for immediate delivery. But the buy price will always be slightly more than the spot price, and the selling price will be slightly less than the spot price. This 'spread' represents the broker’s profit and costs margin. Alternatively, some investors prefer a gold exchange-traded fund, which gives them exposure to the precious metal quickly and easily. Users of gold ETFs generally see them more as a short-term play. Of course you can also hold physical gold and store it in vaults for a fee – but be aware that physical gold can be difficult to sell quickly. What’s the history of gold prices? Gold is one of the oldest currencies in the world and sees some of the most volatile price swings in the commodity markets. But this wasn’t always the case – there was relatively little movement in the gold price until the 1970s. After the removal of the gold standard for the US dollar in 1971, a long uptrend began, until gold reached $2,076 an ounce in February 1980. Since then it’s zig-zagged wildly, falling back to around $700, then up to a new peak of $1,916 and back down again. On 1 February 2018 the gold spot price was $1,284 an ounce. Why does the gold price fluctuate so much? So why does the gold spot price fluctuate so much? There are all sorts of reasons. Geopolitical tension is a classic driver of higher gold prices, so in times of war in strategically important parts of the world, you can expect gold to shoot up. More generally, people tend to turn to gold in times of economic uncertainty because of its enduring physical value. 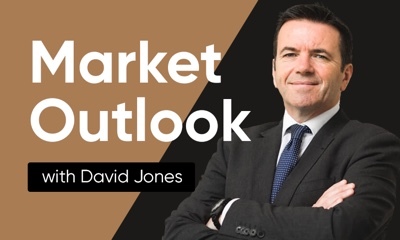 When stock markets are depressed, and returns – or expected returns – on equities and bonds fall, gold is seen as a ‘safe haven’ and the price will tend to rise. Another factor behind the gold price is the level of worldwide gold production. Now that most of the ‘easy’ gold has been mined, miners have to dig deeper in more challenging conditions to access the precious metal. And as the associated costs of mining gold rise, you’d expect gold prices to climb. But the level of demand for gold also has to be thrown into the equation – in times of economic crisis there’s generally less demand for gold jewellery or the consumer electronics that use the precious metal. Check out our gold spot price chart to see how it’s gone up and down over recent weeks. 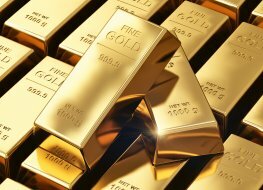 Why is Gold Spot important to traders? Trade gold CFDs, other major commodities, indices, forex, shares and cryptocurrencies through Capital.com’s award-winning platform. No commission. FCA and CySEC regulated. Up to 1:200 leverage (professionals only). Available on web and mobile. AI technology. Trade now.